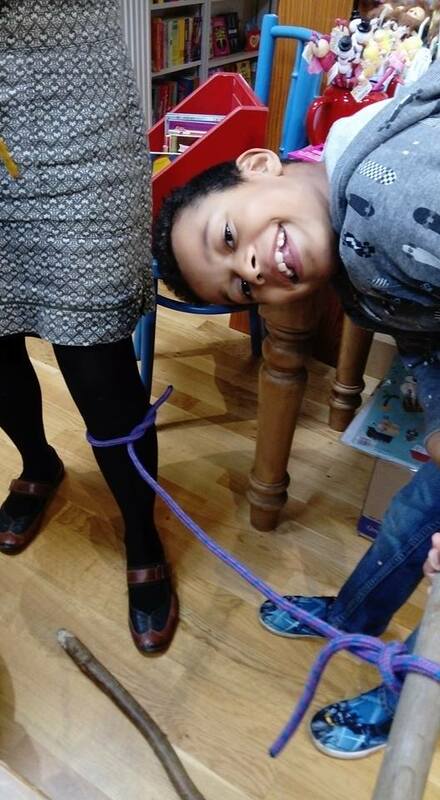 "Fabulous books to fire the imagination"
Super Eager Greedy Readers is the name of the Children's Bookshop Book Group chosen by themselves because they are greedy for books and greedy for biscuits (which are always provided). 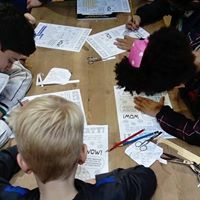 It is aimed at years 4 to 6 (8 to 10 year olds) but we are flexible. It is very informal (some may say mad) and often noisy. We do a mixture of talking about the books we have read and activities from other books such as science experiments, drawing, making things. Sometimes we will all read the same book, sometimes we will select an author and read different books by the same author. Sometimes the books are aimed at the younger end and sometimes we challenge the younger ones with a more difficult story. We may have a chat about other books we have read. The main thing is that it is fun. ​We meet on a Saturday afternoon at 3pm, in the shop, every 3 - 4 weeks. For February and March everyone chose different books with a science theme - technology, inventions, space, time travel, there are loads to choose from. We made an origami christmas wreath and pop up christmas cards from this books which has loads of easy things to make for christmas. 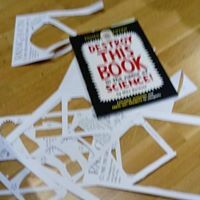 An activity book with lots of science-y things to do, such as creating scientist wobble heads, thunder clappers and discovering Hermann's grid illusion. Very educational! Some of Bear Grylls adventure books or his books on knots. 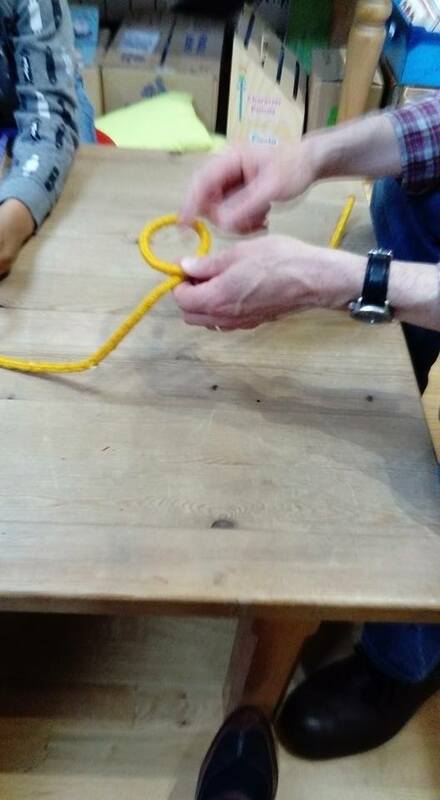 At bookgroup, Stuart was demonstrating how to tie knots, using Bear Grylls Knot Book. 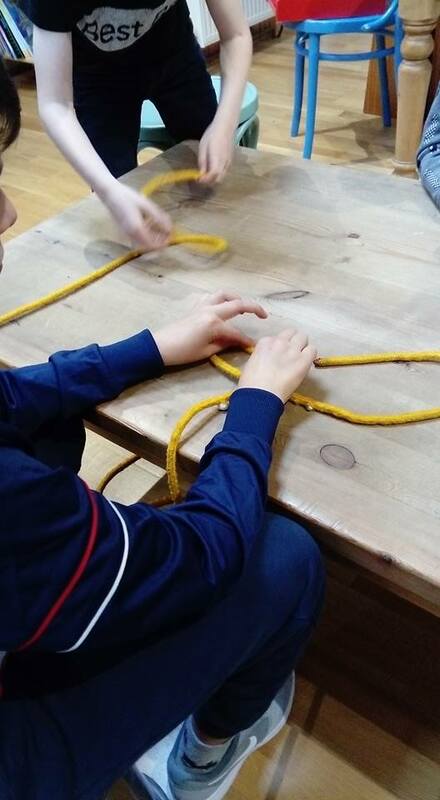 Some were easier than others, some tied us up in knots, they all had funny names​ - lark head, reef, clove hitch, bowline - I learned a whole new vocabulary! The handcuff knot proved particularly useful! The winner of the Awards was Eagle in the Snow by Michael Morpurgo. 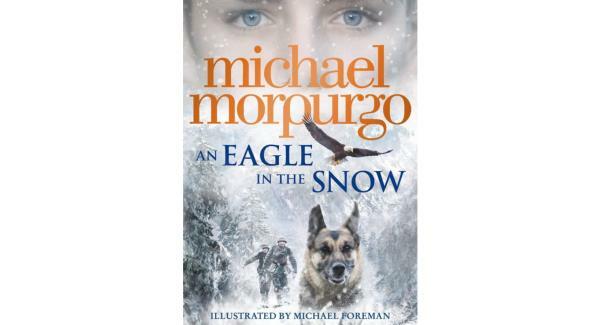 ​An Eagle in the Snow by Michael Morpurgo. ​They loved this book (Sam even wrote a review! Check out the review page.) We were deciding what we would put in a treehouse. Ideas were a ballroom with glitter ball, a computer games room and a music room. A Boy Called Christmas by Matt Haig and illustrated by Chris Mould. This is the true story of Father Christmas!! Nikolas lives a hard life with his Dad in the middle of nowhere. They are very poor. When his father goes on a mission to find the land of the Elves, Nikolas is left with nasty Aunt Carlotta. Life becomes much worse, so he decides to leave and he sets off to find his Dad. This is a modern classic folk story with loads of twists and turns and humour. Destined to become a new Christmas classic. Plus it has a sparkly cover - what's not to like????? Marsh Road Mysteries series by Elen Caldecott. A whodunnitt. Piotr, Minnie, Andrew, Flora and Sylvie are friends but more importanly they are the Marsh Road Investigators. Whether it is a famous Hollywood actress whose priceless diamond necklace is stolen; or the precious blueprints of a new invention that has gone missing, this is the gang for the job. Lots of fun, adventure and mystery. Prankenstein by Andy Seed was the other choice. When Soapy's Granny shoots through the roof on a turbo-charged stair lift he realises that someone is playing hilarious pranks on his family, friends and neighbours. Soapy turns detective to find out who's behind them and makes a surprising discovery. The readers who read this thought is was very funny and loved the pranks!!! Oliver read it twice he enjoyed it so much! 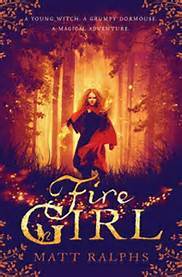 A magical mystery book set in the world of Ludinor where nothing is quite as it seems. 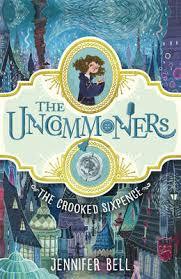 Ivy and Seb are whisked away to another world where ordinary, everyday objects have very unusual and uncommon uses. They are drawn into this wonderful and mysterious place - who wouldn't want to visit Violet Eyelet's Button Apothecary? - but this soon turns darker as their parents are kidnapped, and only Ivy and Seb can rescue them. 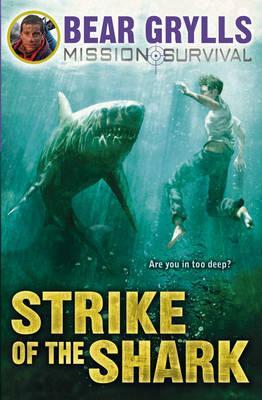 ​This book was thoroughly enjoyed by the group. We had good fun imagining other everyday items that could have uncommon uses. One example was a toilet seat that could become a doorway through a wall! Holiday Ha Ha Ha - a collection of short, funny stories by some great writers. A bit of light reading for the holidays. Sam's favourite was The Woof by Jeremy Strong. I liked "The Nothing to See Here Hotel" by Steve Butler and "Better than Peanut Butter" by Candy Harper. Demolition Man by day, wrestler by night. This book was considered "hilarious". I​n Darkling Wood was harder to follow but those who read it loved it. A complex story of families and fairies, history and the present. 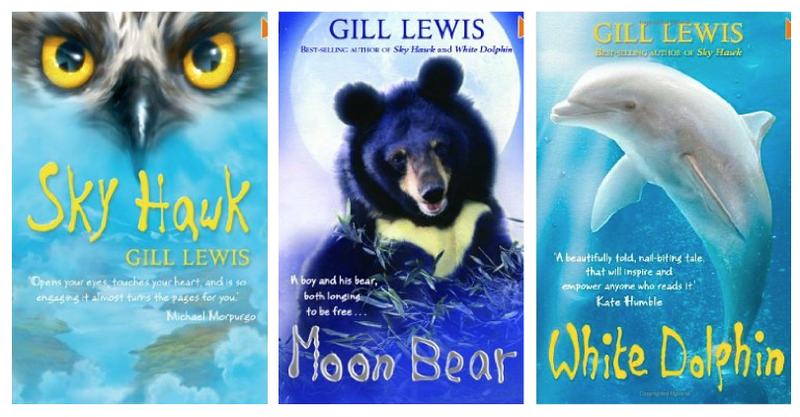 Books by Gill Lewis who writes conservation adventures. All the eager readers chose Moon Bear which covers some difficult issues. The moon bear is captured because humans want to extract bile from it for medicine. Tam is the main character and he has a friend who is ill. Her parents want her to have this medicine but she doesn't because she thinks it is wrong to hurt the bear. She wants to let it go. There were only 2 people who had read this book. One thought it was quite good and wanted to finish it and one gave up because he didn't really get it and it was too slow.